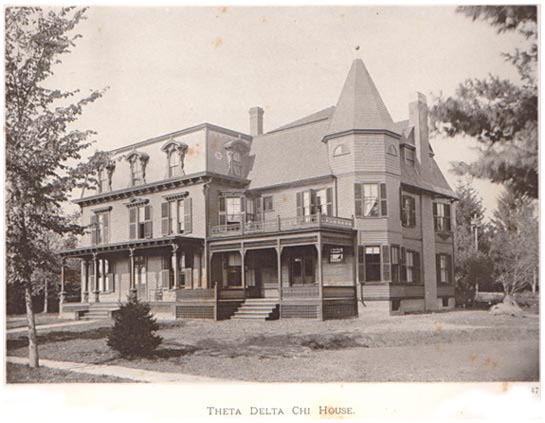 The Mu Deuteron Charge of Theta Delta Chi was chartered at Amherst in 1885. 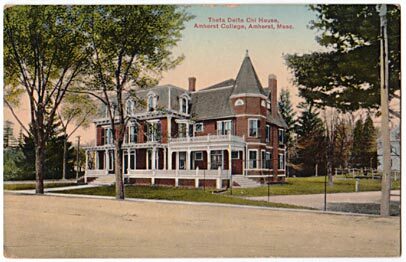 This building was built in the 1880s, and was torn down in 1921 (King, 151). Image below from Sunlight Pictures.